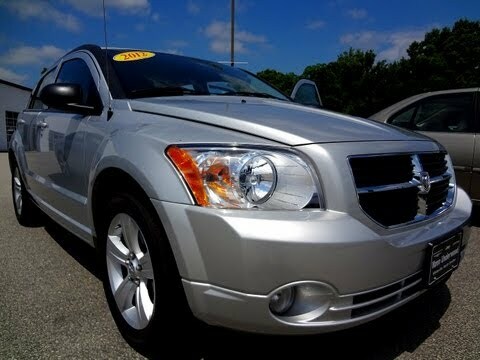 The experiment that is the Dodge Caliber is on a farewell tour in 2012. Introduced as a more versatile replacement to the Dodge Neon compact sedan, the five-door Caliber is in turn being replaced in the lineup by the 2013 Dodge Dart compact sedan. Plenty of storage, if you are the type that needs the storage in a car. Our Dodge Caliber has an extra compartment on top of the dashboard and two compartments in the center console. The glove box also has extra compartment for like your cds or anything you don't want to mix say with your important papers. There are extra cup holders for the back seat, these are great for my grandkids or other backseat passengers. I'm the kind of person that loves storage and when there is plenty of storage things can go in its place without having to mix things up. The seats are very comfortable, adjustable, and roomy. We can have 3 people in the back seat, comfortably and all with seat belts. Or we can have 3 grandkids with still a lot of room all with seatbelts or 4, with the oldest not wearing a seatbelt. The hatch is also very roomy and the spare tire hidden. And if we need even more room, we can put the back seat down and have plenty of room. As for the ride, the car runs smoothly and comfortably. Sometimes, you can even tell the speed you're going if you're not watching it. We love to take trips in it. My in-laws live three hours away and I think this car is the most comfortable for our trips than any we've had, except for the vans we've had. Maybe someday, we will upgrade. Still used and affordable. A very convenient car, really love it. We have not had any problems with our car. It had ran perfect.ly fine and has continued to have the same quality as the day we first got it. You just have to remember to keep up your oil changes and get everything checked when driving an older car. It is the perfect. Size for us and we love it. Two people are learning how to drive on it now. It is easy to drive and manage. Chrysler will notify owners, and dealers will replace the OCR, free of charge. Interim letters informing owners that parts are not available yet were mailed on October 26, 2016. Owners will receive a second notice when remedy parts become available in June 2017. Owners may contact Chrysler customer service at 1-800-853-1403. Chrysler's number for this recall is S61.